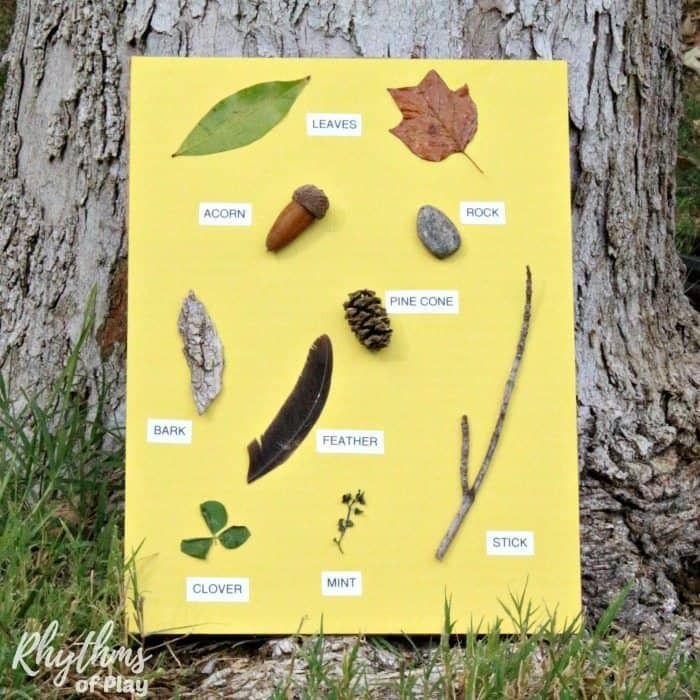 Create a nature scavenger hunt for your kids by making a nature sensory card. Using a nature sensory card makes it easy for toddlers and young children that can’t read to go on a scavenger hunt. Going on a nature scavenger hunt with your child is a great way to spend time connecting both with your child and with nature. Other nature hunt variations can be found below. Since my daughter was only 2 1/2 when she did her first scavenger hunt I created a sensory card that would make it easy for her to know what to hunt for. It turned out to be a great way to add a sensory element into the nature hunt. Collecting the items in a basket provided more sensory opportunities. She had so much fun playing with and looking at the card I gave her before running off to collect each of the items. Since we did our scavenger hunt in our backyard it was nice to see her recognize some of the items and go right to where she knew they could be found — awesome! To learn how to sew a jersey knit dress like my daughter is wearing in the photos above click on the link! 1. Use glue to attach a piece of construction paper to a piece of cardboard cut to the same size. 2. Glue natural items from the location where you will hold the nature scavenger hunt onto the construction paper and allow to dry. 4. 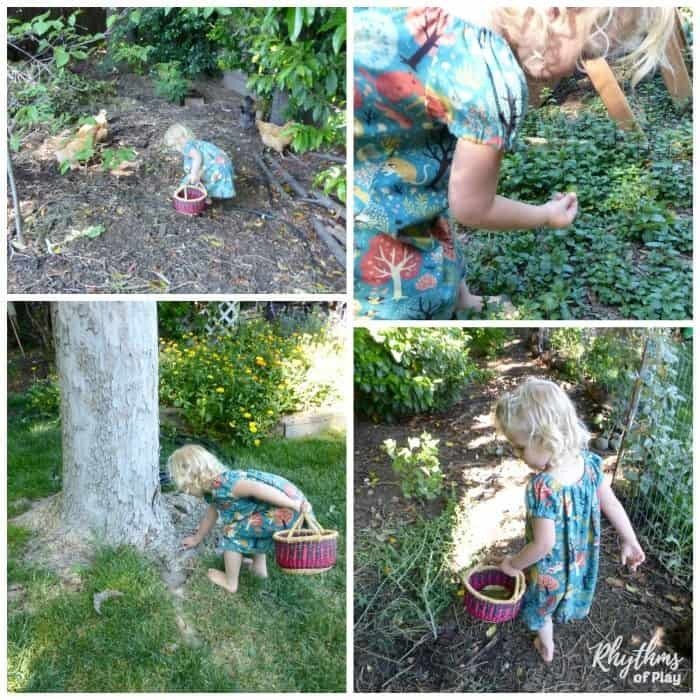 Give the nature sensory card and basket to the child in the area that you collected the items and tell them to find the items that match what’s on the card. 5. Sort and discuss the items the items that your child collects. Invite your child to match the items they found to the items on the sensory card. 6. 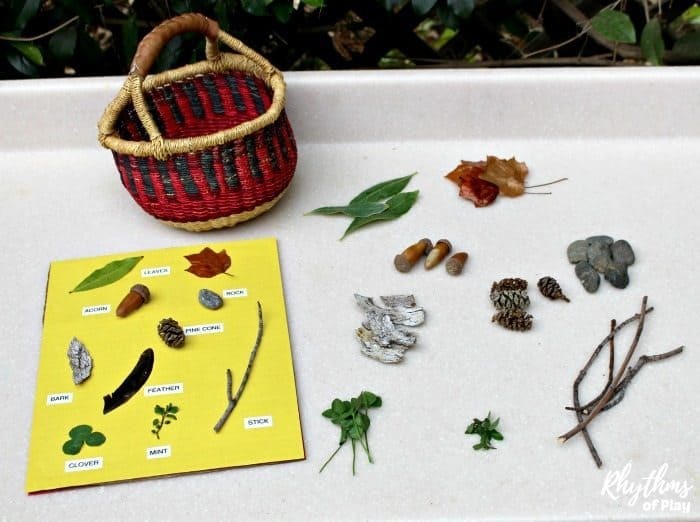 Invite your child to make a nature collage or their own sensory card using the items that they have collected as a way of extending the activity. Place the items in a bag to show the child what they need to collect. Hunt for textures, colors, shapes, sizes, etc. Use a printable instead of a card with real items. Related: Nature Craft Printables: Masks Tiarra’s Crowns and MORE! There is no right or wrong way to have a nature scavenger hunt. The whole point is to get outside, connect and have fun! Use any of these ideas or find the inspiration to do it your own way. Happy hunting! 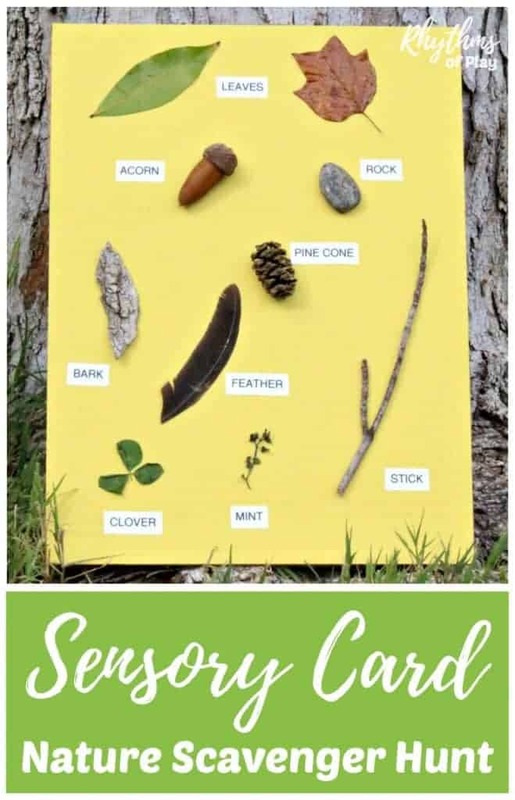 You may also like this Nature Arts and Crafts Printable Activity Pack. More kids activities can be found HERE.